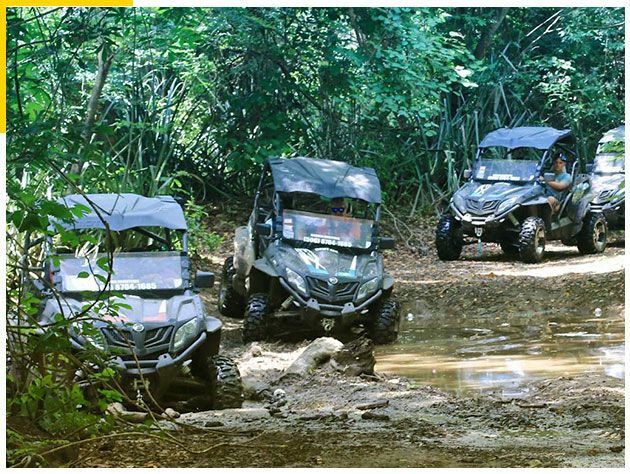 This is our most popular Guanacaste tour and our most popular UTV tour! Top Of The World UTV Tour, Flamingo Beach, Guanacaste, Costa Rica: This is our most popular Guanacaste tour and our most popular UTV tour! On this unequaled outing, the scenery is breathtaking and so is the ride. 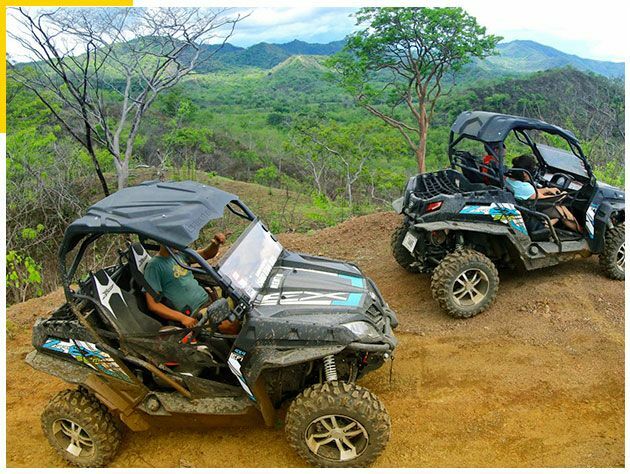 We will take you to an elevation of 1,240′ feet, up winding mountain trails such as the Monkey Trail in Guanacaste and the Donkey trail, putting you right in front of the world famous Danta Beach and Las Catalinas Project. Once you get to 1,240′, you can see for miles in every direction. After a quick stop for refreshments, we will then take you to 5 different beaches — where you can swim, snorkel or just play in the sand before heading back. 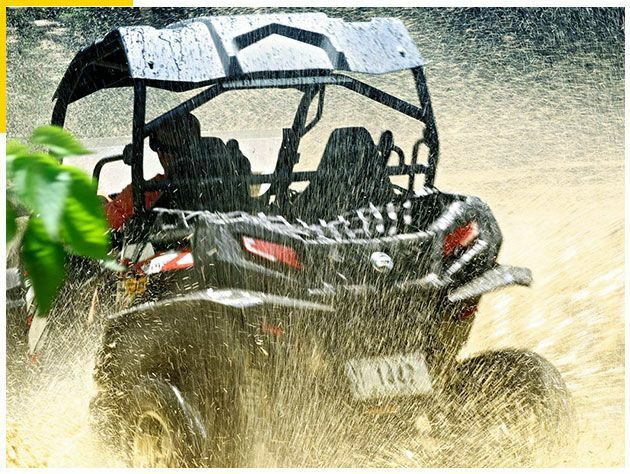 UTV to an elevation of 1,240′.